The Midnight Freemasons: Walt Disney: Freemason Or Not? He was a great man, a great animator, he loved children, and he had an imagination that knew few limits. He often been cited as a Freemason, in fact, often he's listed as a 33rd Degree. I've read a lot about Walt Disney, and he was widely admired and respected. He's many things to many people, but one thing he was not, was a Freemason. Now part of what may have cause the confusion is that during the 1950s, Disneyland sponsored various clubs for its employees, including a knitting club, a shooting club, a skiing club, bowling and softball teams. There was also a Masonic club at Disney, presumably for the employees who were Freemasons. However, even though Disney wasn't a Freemason, he did belong to Demolay as a boy, which is a fraternal organization sponsored by Masonry. While many Demolay do go on to become Freemasons, Walt Disney never joined a Masonic Lodge. 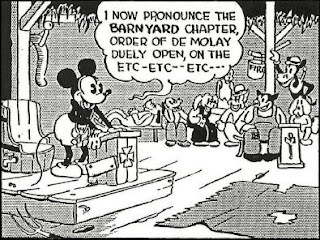 Walt Disney was kind of a big deal in Demolay--he was only the 107th member to join the organization, and a member of the Mother Chapter. He was later inducted into Demolay's Legion of Honor, and the Hall of Fame. He was very fond of the Demolay organization, and spoke out favorably about it often. 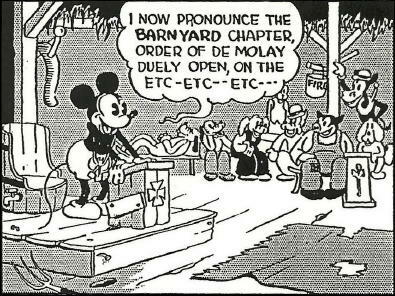 In fact, he made his creation, Mickey Mouse, a member of Demolay! Without a doubt, Walt Disney's contributions has changed the world in many wonderful ways. He's brought happiness, wonder, and imagination to millions throughout the world. He was never afraid to push the boundaries, to try something new, and to find new ways to entertain his guests both in the theater, and in his famous park. 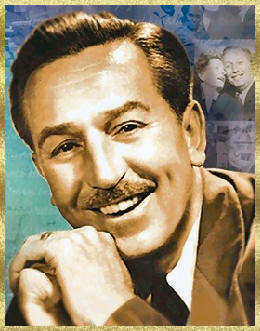 It's really too bad Walt Disney wasn't a Freemason--I'd have loved to profile him in one of my books. The Order of DeMolay was founded in 1919, in Kansas City, Missouri, by a young man named Frank S. Land. Land was a community leader who, at the age of 28, already had a successful business career as a restaurateur behind him. The main event that lead to the founding of the DeMolay movement was World War I. This was a time when the nation was caught up with a passion and desire to bring democracy to the world. When the United States joined in the fight against German power, every resource of men and materials was poured into the war effort. America suffered not only the loss of its men who had fallen in battle, but on the homefront as well. A positive response to this critical situation came about with the development of many charitable organizations. Frank S. Land was selected to act as the director of the Masonic Relief and Employment Bureau of the Scottish Rite of Freemasonry. This charity would come to help hundreds and hundreds of families. Near the end of the war, Land became concerned with the problems of boys who had lost their fathers. He thought "how lonely it must be for a boy not to have a man to talk with, or a man to provide some type of inspiration and direction." Frank decided there was a need for an organization where boys would have the opportunity to associate with other boys, a place they could share common interests, learn responsibility and other skills that would benefit them throughout their lives. His ideal model for this organization included having business or professional men, Masons, taking interest in the young people, being a friend to them, advising them, and perhaps even providing them with employment opportunities. In March, 1919, Land met with young Louis Lower. Louis' father had died, leaving the young man without a father figure in his life. Land took the time to listen to Louis, learn about his dreams, and to help him. He learned that others, like Louis, sought companionship, leadership, inspiration and competition. He asked Louis to invite some friends to a meeting, the original group of nine DeMolays: Louis G. Lower, Ivan M. Bentley, Edmund Marshall, Gorman A. McBride, Jerome Jacobson, William W. Steinhilber, Elmer Dorsey, Clyde C. Stream, and Ralph Sewell. At the second meeting, there was a total of 31 young men present. They were excited about their new club! Dad Land, as he came to be called, provided the philosophy and principles to be embodied. As interest in DeMolay spread, Land answered many requests for information and authority to start chapters. Initiations and ceremonies took place in all locations. By the fall of 1920, Mother Chapter had developed activities for its members as well. These included an outstanding baseball team, a DeMolay marching unit, and even a 100-piece band! By the end of 1921, Dad Land realized he had to devote full time to this new organization and become a full time DeMolay employee. As DeMolay chapters grew in numbers and strength, the organization as a whole grew in prestige. 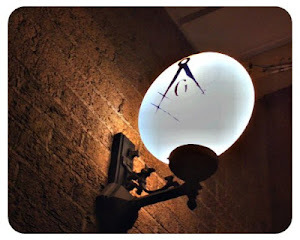 With this greater prestige, interest developed in the Masonic fraternity. Official recognition and approval by Masonic groups began giving their seal of approval to foster DeMolay in their states. Many distinguished organizations endorsed DeMolay including the General Grand Chapter of Royal Arch Masons, Grand Lodges, Knights Templar, etc. A devoted champion of Freemasonry and of its teachings, Land would become a figure of international prominence within Masonry, eventually becoming Imperial Potentate of the Shrine of North America. He counted among his friends U.S. Congressmen, state governors, movie and radio stars, military leaders, leaders of industry, Presidents of the U.S. and a veritable legion of young men in their teens. Dad Land worked tirelessly for the Order of DeMolay until his death on November 8, 1959. Hundreds of other devoted workers aided in the creation and extension of the Order of DeMolay, but looked to one man for guidance. Frank S. Land was the charismatic leader of the Order. Frank S. Land was truly a great man, a proud American, and a person who came to be known by millions, simply as "Dad". Frank Land's life touched, and continues to impact generation after generation of young people, young men looking to better themselves by emulating the lessons and examples by which he himself lived. Please read the articles before you comment. This is a glowing article about Walt Disney. It says he was admired and respected, and even commented that he changed the world. As DeMolay is an appendent body of Freemasonry, can we not say that he was indeed a Freemason? He wasn't a Craft Freemason, but certainly a part of Freemasonry. Or is this just wishing upon a star? As we all know, a Freemason is Entered, Passed, and Raised. As a Freemason, Past Master of a Craft (Blue) Lodge, a 50 year member of DeMolay and an Honorary Member of the International Supreme Council of DeMolay, I feel a need to address this question. DeMolay members come under the common umbrella of "allied and appendent" bodies of Freemasonry. That does not make a DeMolay member a Freemason (unless he has joined a Lodge) any more than it makes the Worthy Matron of the local Eastern Star Chapter a Freemason, even if we refer to them as "sisters" in common usage. As DeMolay yields alligence to it's own Supreme Council bodies, and not to any Grand Lodge, it is not a part of Freemasonry, any more than the Boy Scouts (or Girl Scouts) or the Pony Baseball team sponsored by the Lodge is a part of Freemasonry. We are proud of the number of Senior DeMolays who have risen to local, national and even world leadership positions in Freemasonry. But they weren't Masons until they joined the Lodge. Thank you. I believe that’s exactly what my article says.